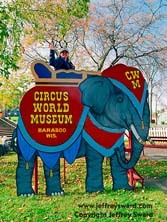 The former Ringling Brothers and Barnum and Bailey Circus Winter Quarters in Baraboo Wisconsin is now the home of the Circus World Museum. Since 1960, the Museum has been operated by the not-for-profit educational Circus World Museum Foundation. Various railroad cars, wagons, and memorabilia are on display. Be sure to catch the various displays featuring the great circus clown Otto Griebling. 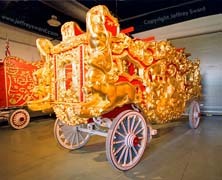 The Circus World Museum. also operates a reference library around the corner from the main Museum. The reference library contains some extremely interesting information, especially an incredibly complete collection of photographs of the Ringling Brothers and Barnum and Bailey Circus. 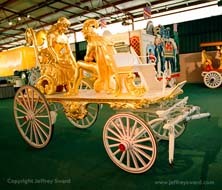 Visit the Circus World Museum web site.